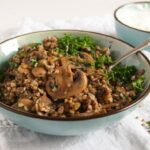 A delicious Polish recipe for kasha – roasted buckwheat groats with mushrooms, onions and lots of dill and parsley. After one year entirely dedicated to Romanian food, I am starting another Eastern Europe recipes short series today. 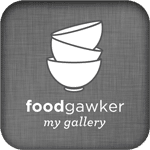 This time I will show you some wonderful Polish recipes. Why Poland? Well, we spent a week in Poland during the kids’ autumn holidays at the beginning of October last year and I liked the food soooo much, I just had to try to recreate some or better said almost all of the delicious dishes we had there, at home. And because there were quite a few of them I wanted to cook myself, I decided to make a blog series out of it. From all the food we had and liked in Poland, I only left out the pierogi, which were amazing actually. But, I know myself pretty well, when it comes to making anything with noodle dough, I just don’t have the time and most of all the patience for it. I am starting with this Roasted Buckwheat with Mushrooms and Onions – Polish Kasha because this is a dish we had for breakfast in the hotel a couple of times. It would have never occurred to me to serve such a dish for breakfast, but there it was: a rather dark (almost black) heap of nondescript something with bits of mushrooms and onions in it, in the middle of all the other breakfast foods. I must tell you, it didn’t look inviting at all, not one bit and definitely not in comparison with all the other delicious looking things on the table. But, when it comes to food, I am so curious that I just could not let it be, I had to try it. I thought, if the cook dares to offer something so bad looking, there must be a reason behind it… Right? And there was a good reason behind it – this Roasted Buckwheat with Mushrooms and Onions – Polish Kasha being the best thing we had (better said I had, husband and kids refused to try it) for breakfast in Poland. I was only disappointed that from the six or seven breakfasts we had there, we were only served kasha twice… I could have had it every day. Just a few words about buckwheat, in case you are not very familiar with it. I wasn’t really until recently, I use it mostly for soups or as a side dish, so I wasn’t even sure what exactly was meant with roasted, even the word groats was a bit confusing. So, apparently you can buy buckwheat either roasted or unroasted. Sometimes the issue is specified on the packet of buckwheat, but unfortunately not always. So, as most recipes I cooked with buckwheat ask for roasted buckwheat, I did actually searched the internet for instructions on roasting buckwheat myself. I had just assumed that, unless specified on the packet, the buckwheat would be unroasted. Beat the egg lightly in a bowl. Add the buckwheat and mix well. Heat a non stick pan without any fat, give the buckwheat to the pan and cook for about 3-4 minutes until all the corns are dry and separated. In the meantime slice the onions thinly. Remove the buckwheat from the heat and transfer it to a small saucepan. Add the chicken stock or vegetable broth, bring to a boil, turn the heat down and simmer for about 15 minutes or until the buckwheat is soft and the stock has been absorbed. Heat the butter and the oil in the pan and cook the onions on low heat for about 15 minutes or until they are very soft and deeply golden. Don't forget to stir often and don't let them catch. I added two small splashes of water in between, the onions were threatening to catch and I didn't want to add more butter. Clean the mushrooms with kitchen paper and slice them as well. When the onions are cooked, add the mushrooms and continue cooking until they release their juices and the juices then evaporate, this will take about 5-7 minutes. Adjust the taste with salt and pepper. 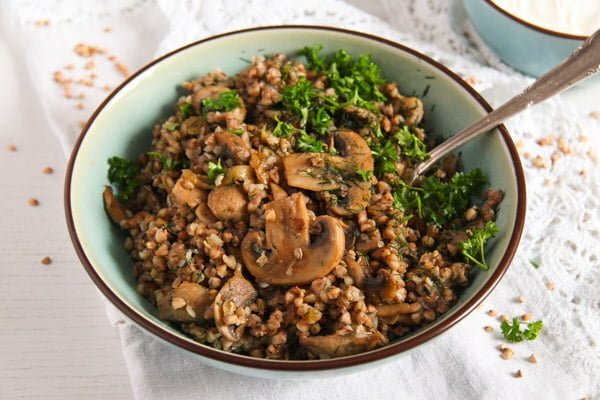 Give the buckwheat to the pan and stir well to mix. Chop the dill and the parsley and give them to the pan. Serve immediately with smetana, sour cream or Greek yogurt (with garlic, if you like). And a green salad. I used chicken stock because I had some homemade stock in the fridge, but for a vegetarian version you can definitely use vegetable broth instead. This looks simply amazing! Homemade stock must have made a huge difference here. We did have it only for breakfast in Poland. 🙂 The poached egg sounds great! What hearty and healthy meal! Just happen to have some buckwheat waiting for a dish. Thanks Adina! Looks lovely and it’s easy to make it vegetarian. I will keep it in mind. What a nice surprise to see Polish recipes! I’m so happy someone likes Polish cuisine abroad! 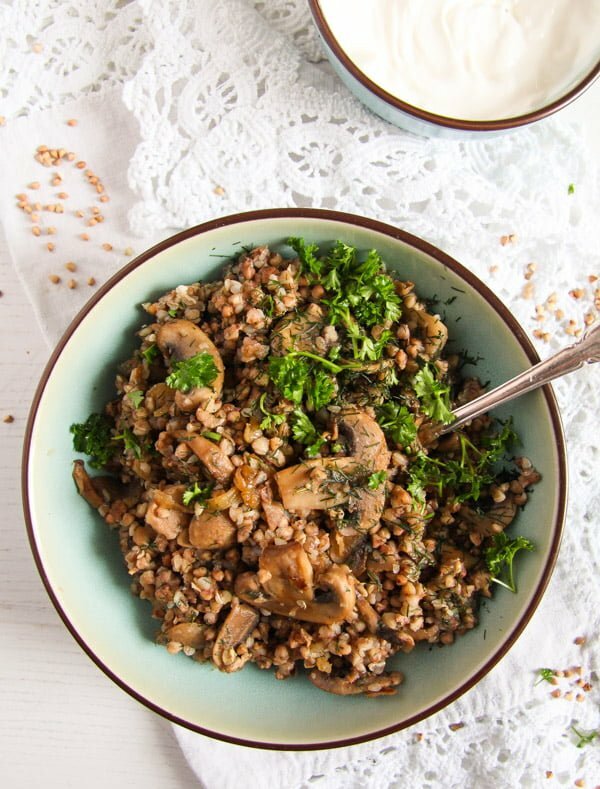 I love buckwheat groats (I have several recipes on my blog if you look for some new ideas… it’s delicious with miso for example and in general in many non-Polish recipes ; try it instead of rice in fried rice!) but I’ve never heard about it being served for breakfast! 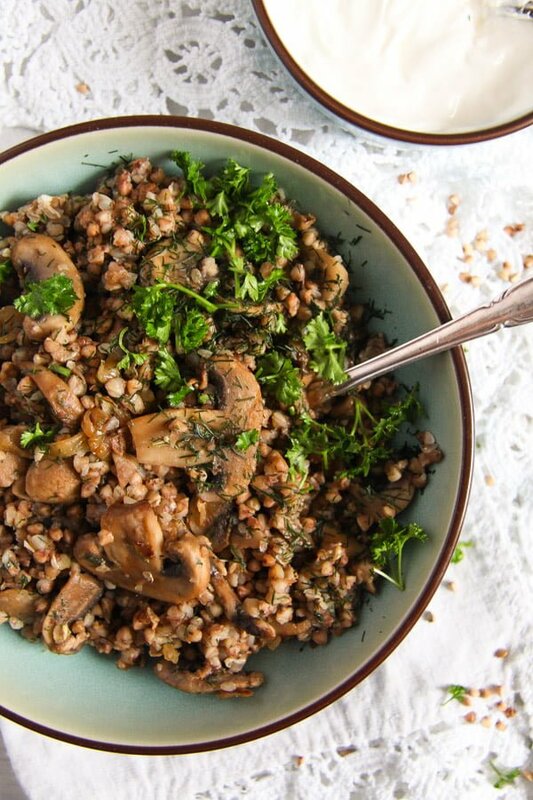 You have managed to create a beautiful buckwheat bowl! (I don’t know if you know, but, in spite of what English sources suggest, “kasha” or rather “kasza” doesn’t mean buckwheat groats, but “groats” in general, for example “pearl barley” is “kasza jeczmienna”, semolina is “kasza manna”, etc. 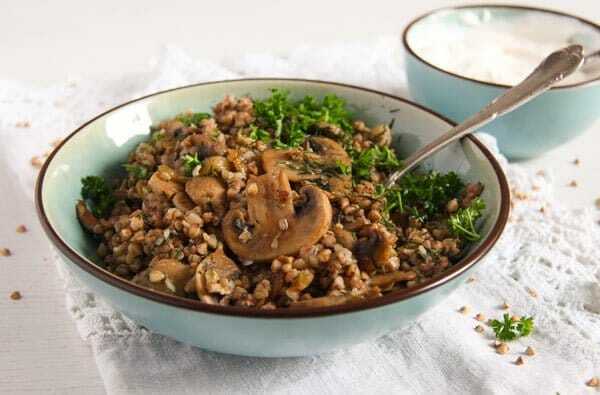 Buckwheat groats is “kasza gryczana”). Thank you, Sissi, I didn’t know that, my Polish is quite unexisting. 🙂 One word I’ve learned there and probably will always remember was biedronka – ladybug. Or I can recognize some words that are similar in German, English or Romanian. 🙂 I will have a look at your buckwheat recipes, I must admit that although I love it, I use it mostly for soups. Sound delicious! I’ve actually never made buckwheat before. Just curious, I notice it does say serve immediately. Do you think this would be ok as a meal prep meal, heated up? Or more of a fresh one time dinner? Hi Kimberly. To tell you the truth although some dishes are definitely best when served immediately and this one is indeed better when freshly cooked, I do heat up most anything if I have leftovers, I don’t like to waste food. Add a bit of broth and stir often to make sure that the buckwheat doesn’t catch to the pan, if you decide to reheat it. 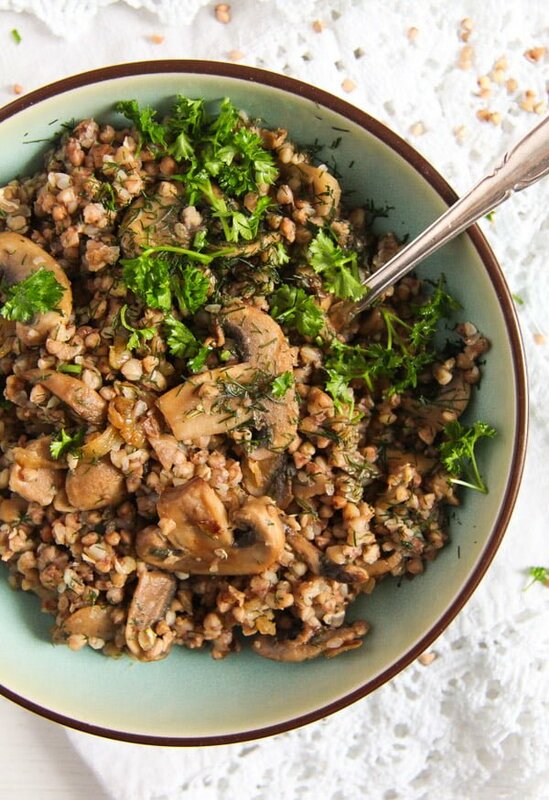 This recipe looks great – I have a bag of buckwheat and can’t remeber why I bought it ! I thought buckwheat needed to be soaked overnight ? Also my bag says toasted is that the same as roasted ? Hi Caroline, buckwheat should not be soaked overnight, you can use as it is. And toasted is roasted, so everything is fine. 🙂 I hope you like it! LOL Why did you write that you did not manage to make your kasha as ugly as the one in Poland? Kasha is ugly? Oh, you should have seen the one we had in Poland, like a big heap of p..p!!! Dark brown, almost black with little worm like stripes of onion… really ugly, but tasty. Toss a few capers in the mix to give it a little pop. Sounds great! I will try it Next time. Kasha and varnishkes or bow tie pasta is a popular Jewish food which I learned from my mother who came from Uman and my mother in law who came from Vilnius . It is made exactly the way you describe with mushrooms and onions and the pasta is added to the batch. It was and is a nostalgic food of immigrants from Eastern Europe. I just. Made a batch today. Sounds great! So basically kasha is made with buckwheat and varnishkes with pasta instead of buckwheat? I am sure it tastes wonderful. Thank you, Michael. I hope you liked the kasha.